To solve this problem, click the Close button and uninstall the old version from Microsoft Excel and install the new version from the website. 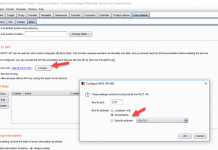 In the top Excel menu click File and Options. 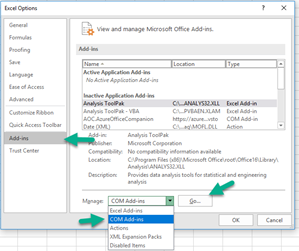 In the Excel Options select Add-Ins and in the Manage select COM Add-Ins and click the Go… button. In the COM Add-Ins windows, in the Add-Ins available list, check “AOC.AzureOfficeCompanion” and click the Remove button and then click the OK button. Close Microsoft Excel and go in the Aziverso web site and install the new version, if you are new of the add-in, you will find the step by step instruction here. 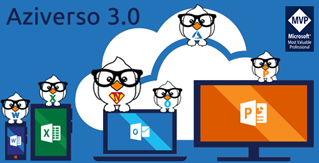 Aziverso is a multiverse add-in for Microsoft Office able to offer many features to speed up the Azure professional work, it is free to use and supported by the community. 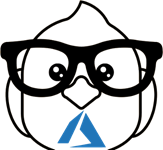 The add-in offers many features to manage the most important and critical situations, it offers great capabilities to manage the Azure costs, troubleshooting, naming standards and more. Aziverso is a smart tool for smart people, the internal features can be combined in a different way to solve many situations and problems. The Aziverso costs provide the possibility to define our department’s distributions, without depending by any Azure setting, we can also define rules to calculate costs by resource groups, tags and subscriptions. Some subscription offering type, for example the Azure Sponsor Type, doesn’t provide the possibility to use the cost usage and they don’t work with Aziverso costs. Aziverso provides the possibility to query up to 1533 Azure API with smart filtering, the API can be executed also getting the parameters from other Excel Sheets. This last feature, called dynamic API mapping, offers the possibility to execute an Azure API selected in the list and execute the API for each row in the Excel Sheet and to return a total result. Aziverso can query any API and provide an extensive result able to show a complete view of the data. Combining the feature of heuristic view and the group we can extend our troubleshooting at the unthinkable level before. Refer to the Aziverso help and documentation for more information.